As with all the Thalion games, the intro to Lionheart let's you know that you are in for a treat. The animated Story-board intro sets the scene of Vladyn (your character) having to save his girlfriend from some evil blokes, armed with just a sword and some cool moves. 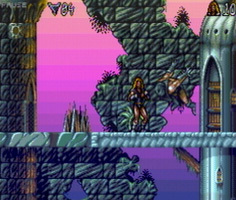 The game, like most of the Thalion titles, pushes back the technology barriers to produce a beautiful looking game, most of the graphics are done in 32 colours, and with rasters and other software tricks there are often thousands of different colours on screen. 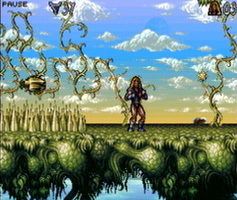 The menu system is all done in the Amiga Hi-res interlace mode, which gives it a level of detail rarely seen in a 16-bit game. 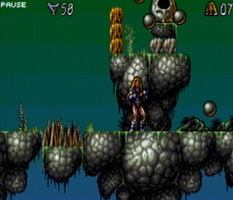 When the game commences you will see it's a 2D Platform game, you control the main character and run jump, climb, slash your way through the levels to the warp points at the end of the level. 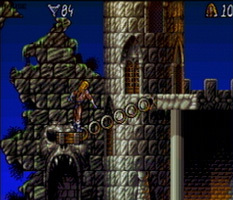 This is where the similarity with most other 2D platform games on the Amiga end. 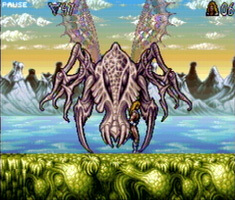 The quality of the graphics are second to none, with excellent animated water, clouds, bugs etc. The closest game I can compare it to is the other fantastic Thalion Platform game Enchanted Land but both the graphics and the game play have been improved no end. The difficulty level is still high but no where as hard as EL which makes it much more fun. It seriously pushes the limits of the Custom Chips with Multiple layers of parallax scrolling (far more than Shadow of the Beast! ), real-time scaling/rotating (Snes Mode7 eat your heart out! 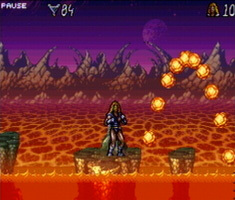 ), many sprites on screen. The guys at Thalion put a lot of work into this game, and it shows.